At any moment, you have the ability to dramatically change any area of your life, or follow your heart’s deepest desires. It’s yours to create, any way you want it! CANCER (June 21-July 22): The Venus de Milo is a famous Greek statue that’s over 2,100 years old. Bigger than life size, it depicts the goddess of love, beauty, and pleasure. Its current home is the Louvre Museum in Paris, but for hundreds of years it was lost — buried underground on the Greek island of Milos. In 1820, a farmer found it while he was out digging on his land. I foresee a comparable discovery by you in the coming weeks, Cancerian. You will uncover a source of beauty, love, or pleasure — or perhaps all three — that has been missing or forgotten for a long time. LEO (July 23-Aug. 22): According to an ancient Greek myth, Sisyphus keeps pushing a boulder up a steep hill only to lose control of it just before he reaches the top, watching in dismay as it tumbles to the bottom. After each failure, he lumbers back down to where he started and makes another effort to roll it up again — only to fail again. The myth says he continues his futile attempts for all eternity. I’m happy to report, Leo, that there is an important difference between your story and that of Sisyphus. Whereas you have tried and tried and tried again to complete a certain uphill task, you will not be forever frustrated. In fact, I believe a breakthrough will come soon, and success will finally be yours. Will it be due to your gutsy determination or your neurotic compulsion or both? It doesn’t matter. hypocrisy, of course, but theirs was an especially tragic version. In comparison, the hypocrisy that you express is mild. Nevertheless, working to minimize it is a worthy task. 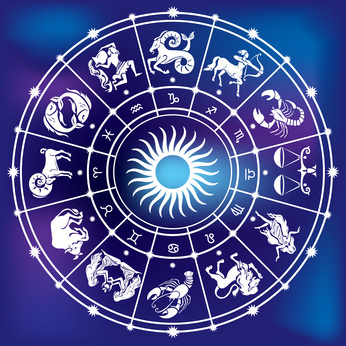 And here’s the good news: You are now in a position to become the zodiac’s leader in minimizing your hypocrisy. Of all the signs, you can come closest to walking your talk and practicing what you preach. So do it! Aim to be a master of translating your ideals into practical action. LIBRA (Sept. 23-Oct. 22): In the last two decades, seven Academy Award winners have given thanks to God while accepting their Oscars. By contrast, 30 winners have expressed their gratitude to film studio executive Harvey Weinstein. Who would you acknowledge as essential to your success, Libra? What generous souls, loving animals, departed helpers, and spiritual beings have contributed to your ability to thrive? Now is an excellent time to make a big deal out of expressing your appreciation. For mysterious reasons, doing so will enhance your luck and increase your chances for future success. minded influences, and expunge numbing habits. Even better, your extra-strength excuse note will free you to seek out adventures you have been denying yourself for no good reason. relationships or anything else that tempts you to act like an obsessive self-saboteur, you have more power than usual to break its hold on you — especially if you don’t take yourself too seriously. Venus through his telescope, he swore he saw spokes emanating from a central hub on the planet’s surface. But we now know that Venus is shrouded with such thick cloud cover that no surface features are visible. So what did Lowell see? Due to an anomaly in his apparatus, the telescope projected shadows from inside his eyes onto the image of Venus. The “spokes” were actually the blood vessels in his retinas. Let this example serve as a cautionary tale for you in the coming weeks, Capricorn. Don’t confuse what’s within you with what’s outside you. If you can clearly discern the difference, your closest relationships will experience healing breakthroughs. proceed with this work, it may expedite matters if you make a conscious choice to undergo a trial by fire. you could create conditions that have resemblances to that utopia. So be audacious in your quest for amorous bliss and convivial romance. Dare to put love at the top of your priority list. And be inventive! ARIES (March 21-April 19): Would you like your savings account to grow? Then deposit money into in it on a consistent basis. Would you like to feel good and have a lot of physical energy? Eat healthy food, sleep as much as you need to, and exercise regularly. Do you want people to see the best in you and give you the benefit of the doubt? See the best in them and give them the benefit of the doubt. Would you love to accomplish your most important goal? Decide what you want more than anything else and focus on it with relaxed intensity. Yes, Aries, life really is that simple — or at least it is right now. If you want to attain interesting success, be a master of the obvious. TAURUS (April 20-May 20): Your urge to merge is heating up. Your curiosity about combinations is intensifying. I think it’s time to conduct jaunty experiments in mixing and blending. Here’s what I propose: Let your imagination run half-wild. Be unpredictable as you play around with medleys and hodgepodges and sweet unions. But don’t be attached to the outcomes. Some of your research may lead to permanent arrangements, and some won’t. Either result is fine. Your task is to enjoy the amusing bustle, and learn all you can from it. GEMINI (May 21-June 20): The American painter Ivan Albright (1897-1983) was a meticulous creator. He spent as much time as necessary to get every detail right. An entire day might go by as he worked to perfect one square inch of a painting, and some of his pieces took years to finish. When the task at hand demanded intricate precision, he used a brush composed of a single hair. That’s the kind of attention to minutia I recommend for you — not forever, but for the next few weeks. Be careful and conscientious as you build the foundation that will allow you maximum freedom of movement later this year. order that I may learn how to do it.” Your comment?